This is a WORK IN PROGRESS and not yet available as the model is being finished at this time. 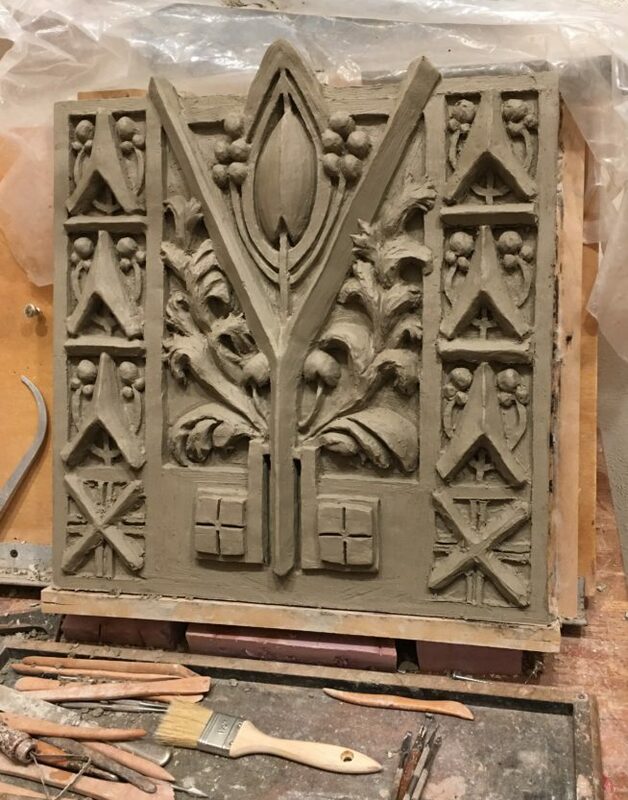 I am excited to offer this interesting Sullivanesque/Elmslie design after those that were once on the Washington Irving Public School in Hammond Indiana. I happened to find photos of this interesting 1936 George Elmslie/Louis Sullivan “Sullivanesque” style design at the City Museum in St Louis and decided to create a model of it. 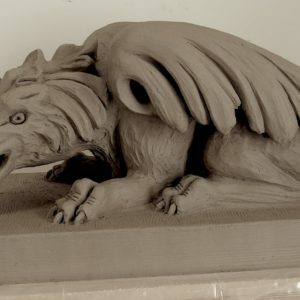 I was able to scale the size of the original terracotta artifacts to about 20″ square. Though the originals were actually about 20″ deep embedded into the wall as well as projecting out from the wall about 5″, I needed to modify that original configuration to a more practical one for how my clients would likely use it- hanging ON the wall, or embedded 3-4″ into a brick or stone wall, so with that end goal in mind this model is designed to do both as it will be a nominal 4″ deep. The original pier capitals projected out from the face of the brick facade by about 5″, as a result the design on the fronts of the capitals wrapped around on the two sides, since doing that configuration would mean making my model 5″ deeper yet (9″ total) it would make it a less than useful design for how it would be used in a non pier capital display, so I will not wrap the design around the sides beyond possibly the smallest amount on the corners. George Grant Elmslie & William Hutton- architects, and the Midland terracotta Co with modeller Albert Fritz are said to have executed the original terracotta artifacts for the school in 1936, the school was demolished in 2003. 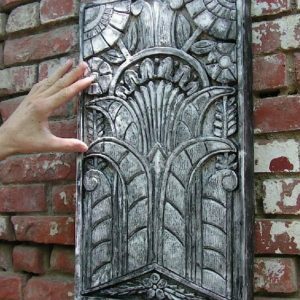 This is an outstanding example of the Louis Sullivan style of architectural ornament. The Art Deco inspired chevron or “V” is surrounded by thistle leaves and is sprouting leaves of a plant or bud of a flower. The flower which made up of seeds emerges from the plant stalk. 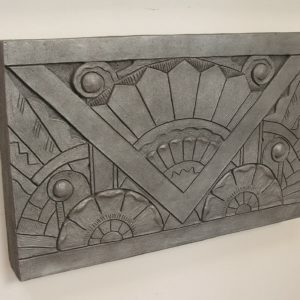 Hand-made Victorian, Art Deco and Sullivanesque architectural sculpture, based on authentic nineteenth and early twentieth century sculptures found on urban building facades. 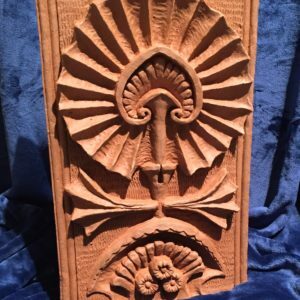 Each sculpture is either hand-cast, or hand pressed kiln fired terracotta, and they are available in a number of finishes.